“My basement windows are nasty!” Ellen said to me on a recent appointment. The reality is when people talk about their basement windows the adjectives they use are not flattering (they’re drafty, ugly, bug-infested, rotten and unsafe are just a few examples). Whether you’re in the middle of a basement remodeling project or just want to make your lower level space more secure, energy efficient or better looking – fixing old, deteriorating basement windows can be a good investment. 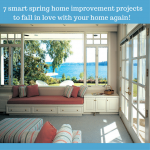 The article below highlights practical tips I shared with Ellen to fix the biggest problems associated with basement windows. – In most homes existing basement windows are the cheapest and flimsiest windows. Often they are single pane glass windows surrounded by a wood (which is deteriorating) or metal (which is rusting) frame. Breaking in through these windows for vandals is not a tough job. A secure solution to this problem is to install glass block basement windows. These units are mortared to the concrete block or poured foundation making them a high security alternative. For the highest level of protection the latest advancement is a product called a “Protect All glass block window.” This window uses vinyl spacers to join the blocks together making a structure which is much harder to separate than even a mortar joint. The energy efficiency rating of existing single pane glass blocks windows is a microscopic R value of .1. With this being said the biggest energy efficiency problem with metal or wood framed basement windows is often not the thin glass – but is rotten or rusted frames surrounding the pane. A strong product choice to eliminate this problem are vinyl hopper windows or a sliding glass window. 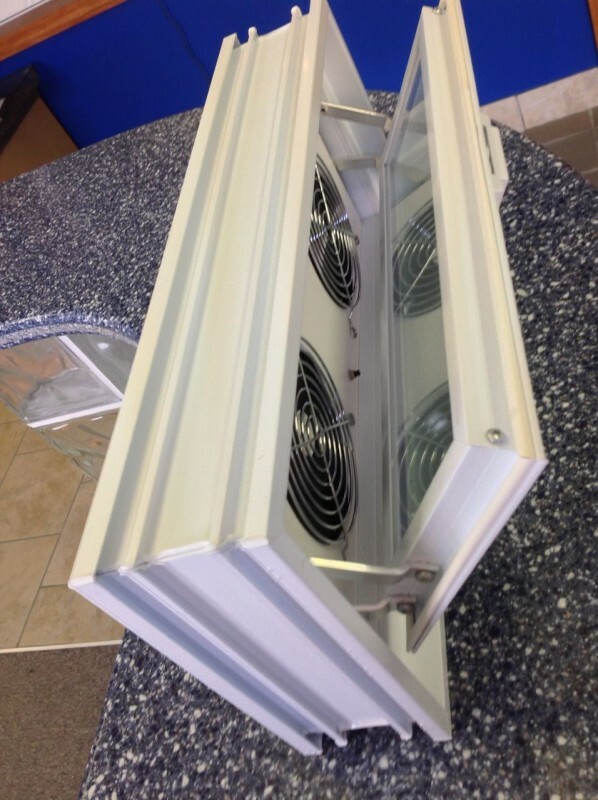 The hopper style window works well if you have a small opening and still want to maximize air flow. The sliding window tends to be preferred if you want the opening to be smaller for security purposes. If you want your basement to be safe for your family to enjoy and kids to play in limiting the problems associated with hazards like carbon monoxide is essential. To lessen the risk of carbon monoxide created from hot water heaters or furnaces maximizing fresh air in the lower level is important. The challenge is many existing wood framed windows have been painted shut and some metal frame windows have hinges which are so rusted the concern is if you open them you won’t be able to shut them again. Two popular solutions to this challenge are to use vinyl replacement windows or a glass block window with an air vent. The vinyl windows operate by either folding down for air (a hopper window) or having a sash which moves side to side (a sliding window). The glass block window with an air vent has a smaller opening than the vinyl window – making it a good solution to allow air flow and to also prevent against break ins. • Problem #4 – Escaping through a small basement window in the case of a fire is something you’re not going to do! – Most basement windows are too small for an adult to get out during a fire (as a matter of fact when I was younger my Dad used to hoist me through the basement windows when we got locked out because he would have gotten stuck in the opening!). The best way (although it’s not an inexpensive proposition) to create a large enough opening to escape during a fire is to install an egress window. 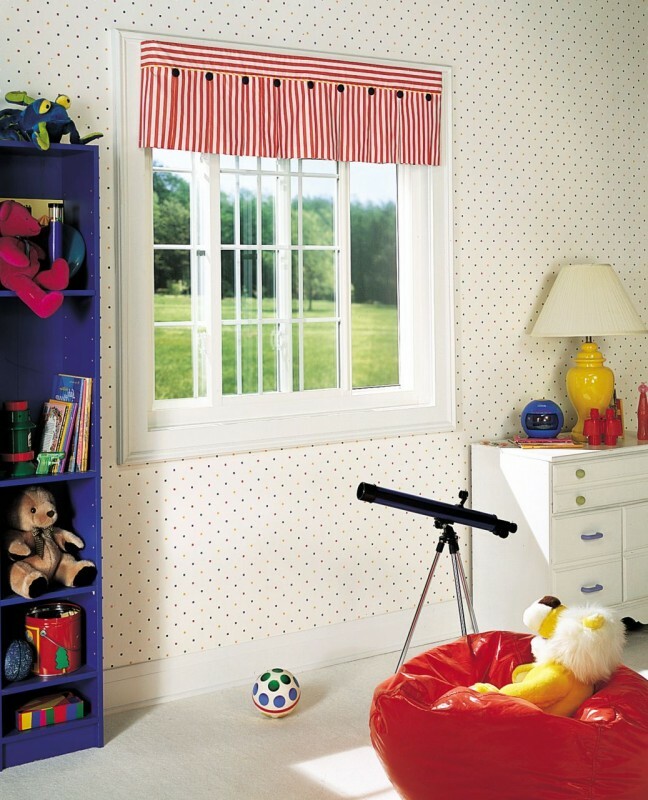 This type of window is required by code if you have a bedroom in the basement. Egress windows themselves are not that expensive – the large cost of this project comes in cutting the foundation and installing a window well on the outside to accommodate the larger egress window. 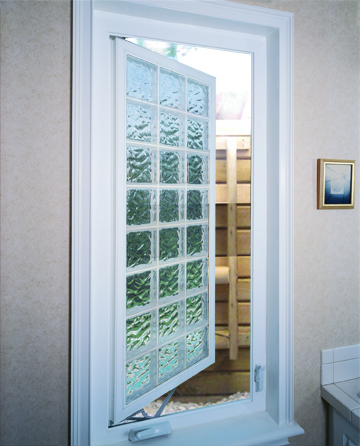 Options in egress (or fire escape windows as some call them) windows can include obscure glass, clear glass or even designs which include a casement acrylic block windows. If you have members of your household who are afraid of spiders and just can’t stand bugs you’re not alone. Spiders, pillbugs and snowbugs are common creates you’ll find lurking besides basement windows. Solving challenge involves improving air circulation on the inside and reducing moisture on the outside. Strategies to improve inside air flow include having a vinyl windows, glass block windows with an air vents or the larger sized egress windows. In addition to these three options a glass block window can be equipped with a “power vent.” This power vent has two exhaust fans which can dramatically increase circulation. To reduce moisture on the outside clean up aging vegetation, grass clippings and planting beds which have been over mulched. In addition consider adding a basement window well with gravel and a drain to move water away from the window. 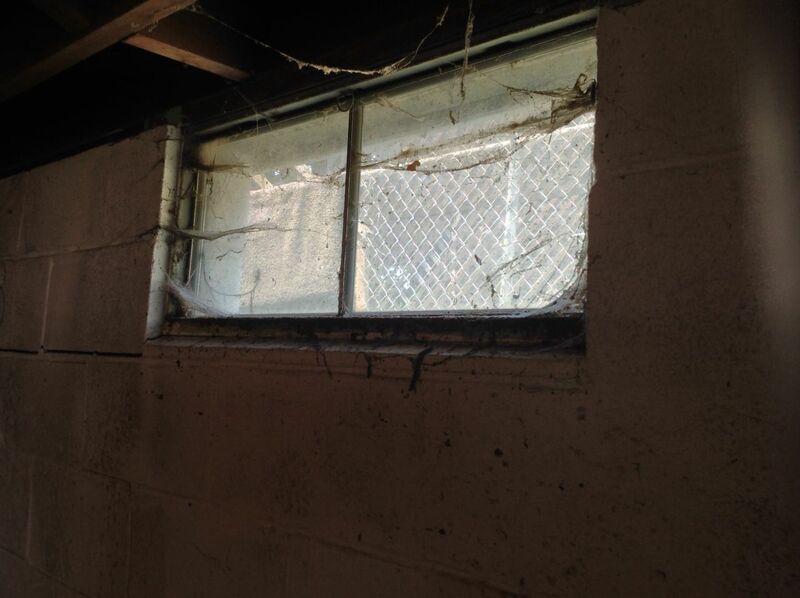 Which of these 5 basement window problems is the worst one for you? Comment or call us on the numbers below to find products to solve these basement window problems and leave them in your rear-view mirror. me and my wife just moving into are new house,this is are 1st house together.. Anyways i dont like the windows in are basement because are basement is to dark and there not to mcuh light down there, i want to bright up are basement with new windows.. What can i do? I need this had ever dry,still having problems. Mohamad – we can ship directly to you in Detroit. Let us know how we can help further. Roy – our office could help you with this window (feel free to call at 877-668-5888). There is not a humidity control however with the vent fan. They can however be incorporated into the glass block windows. Our office is located in Columbus Ohio. I like the idea of your basement window with the vent fans. Does it come with a humidity control? I live in Canada, Is there a Vanadian supplier? I will be travelling through Ohio later this month, is there a retailer close to I-75 that I could get one from? Jessie – feel free to give us a call to talk further about your project. 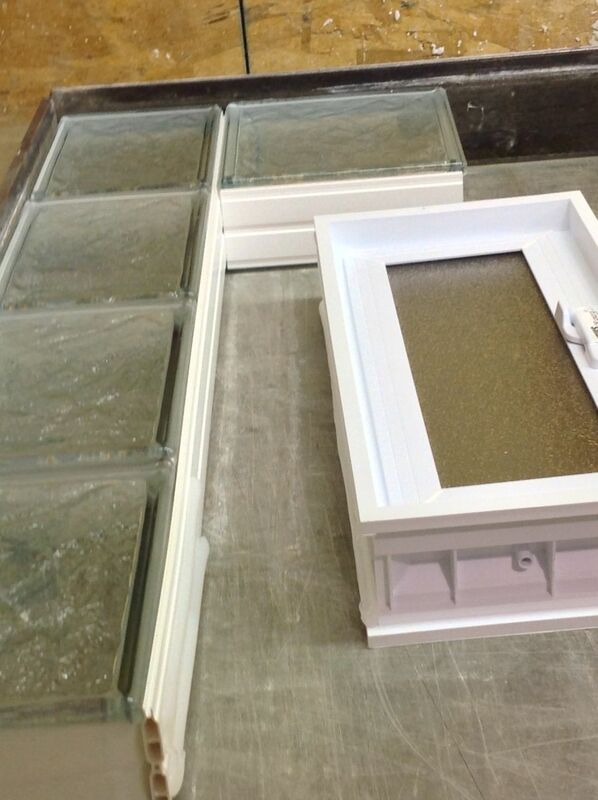 If you got glass block basement windows we can add air vents to the windows to get you more air flow. we had new door and Windows in basement to in 2000 and now we need again. shows wrotting. I think we have no circulation or not enough venting. What to do?